Beautiful furniture all has it’s price, these stunning classic British pieces may soon be even harder to get your hands on. Find out why! When it comes to furniture design, this is something designers take very seriously. There are tons of rip-off designs flooding the market allowing us to buy high-end style for less, in return this is causing a big stir in the industry. 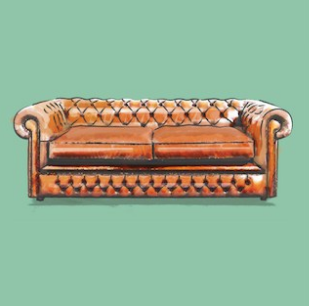 Since we are huge lovers of British style furniture, we dug a little deeper to find out exactly what is going on in the British furniture industry. 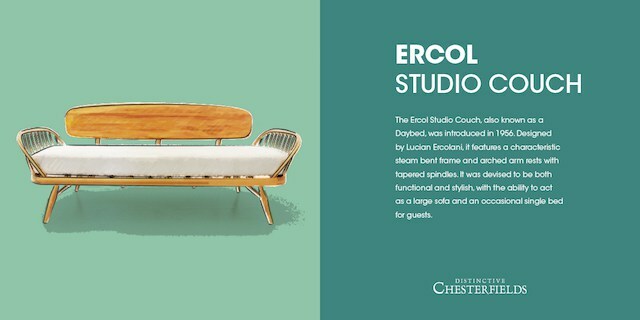 According to new reports, (and a this article about Distinctive Chesterfields on Strawberry Squeeze) a new law that is intended to protect designers states copyrights on furniture designs will be extended from 25 years to 70 years. Ahh… one of my favorite pieces of furniture of all time. 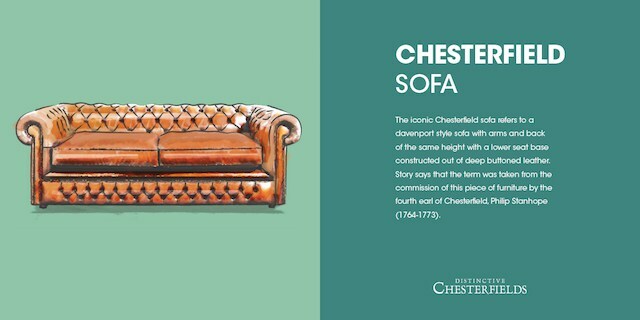 The chesterfield sofa is a classic piece that looks great no matter what trends come and go. I consider this sofa an investment piece, since it always looks stunning plus it can literally last a life time! 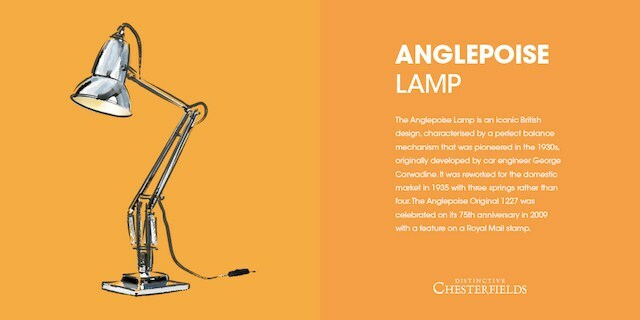 An office staple, this iconic British lamp is perfect for a workplace at home. With it’s sturdy adjustable arms, it’s not only practical but also super fashionable. 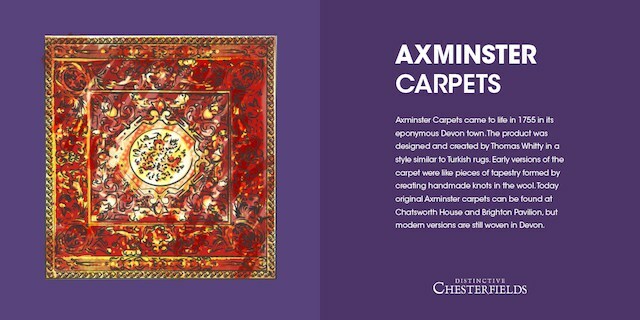 Similar to persian carpets, Axminster oriental carpets are formed by creating handmade knots into wool. The dye is usual natural dye made from fruits and vegetables. Axminster carpets aren’t just ordinary carpets, when decorating they make a huge statement piece in whatever room they are placed in. Popular in mid-century middle class homes, the trio of ceramic flying ducks derive from the home of English pottery. Who knew these ducks are now collectors pieces? I saw these before in homes, but I never realized there was so much meaning behind them! 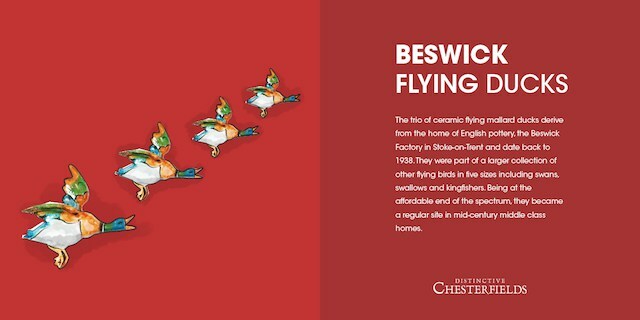 They are actually part of a large collection made from the Beswick Factory that includes flying swans, swallows, and kingfishers. 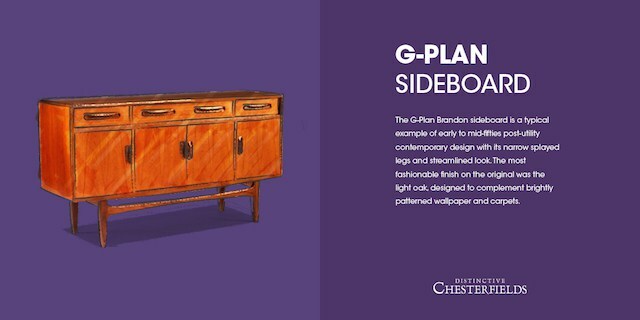 Similar to a buffet, the g-plan sideboard is a long and low cabinet most frequently seen in dining rooms. 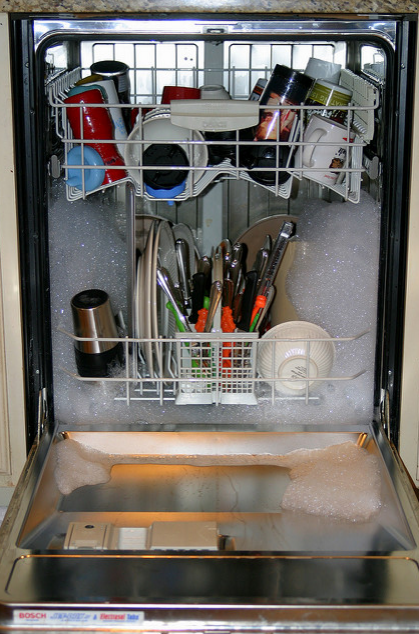 It’s great for storing special occasion dinnerware, utensils, and other extra tableware. This retro telephone really has a seal of vintage approval. 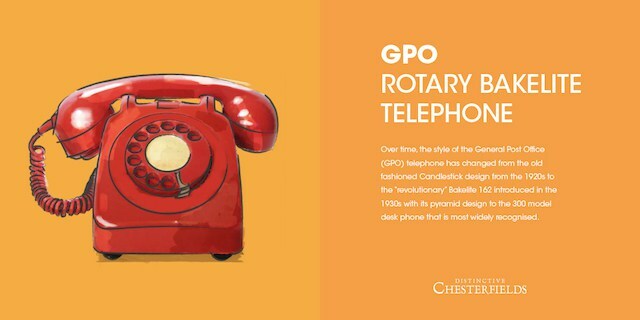 Probably one of the most recognizable telephones in history, the GPO Rotary Bakelite had been around from the 1920s. Today, you can still purchase remakes of this telephone that make beautiful decorating accessories and add a unique vintage touch to your home. Who knew this was under the new copyright legislation? 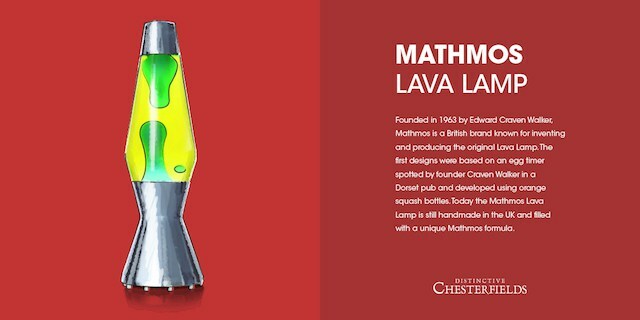 Lava lamps have been around since the 60’s, and are still today handcrafted in the UK. In order to make the lava, they are filled with a unique and secretive Mathmos formula. More frequently known as “nesting tables” this trio of tables is a typical example of classic mid-century design. 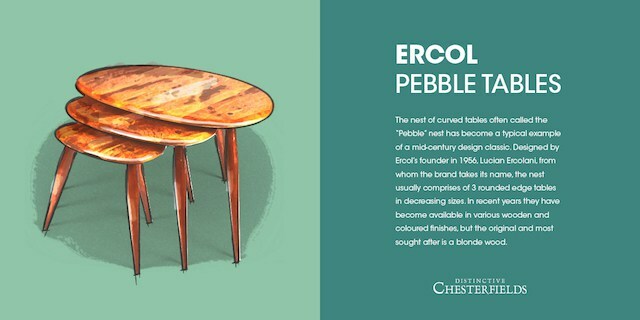 Usually compromised of 3 rounded tables in decreasing sizes, they are available in various wooden and colored finishes. 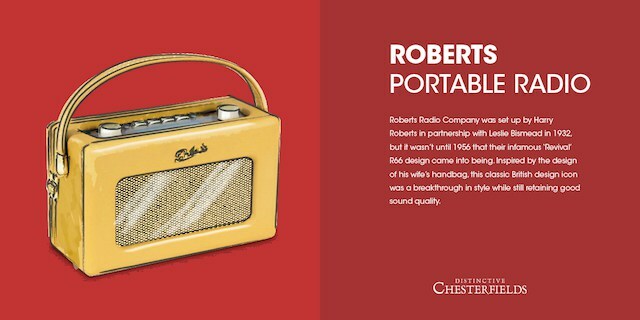 Designed by Harry Roberts, this small and convenient portable radio was actually inspired by his wife’s simply designed handbag. The classic British design icon was a true breakthrough in style, although Harry managed to retain great sound quality through the small radio. Also known as the famous day bed, the studio couch is the perfect piece of furniture for small and tight spaces like apartments. The day bed doubles as a bed and also a sofa during the day, a win-win situation! 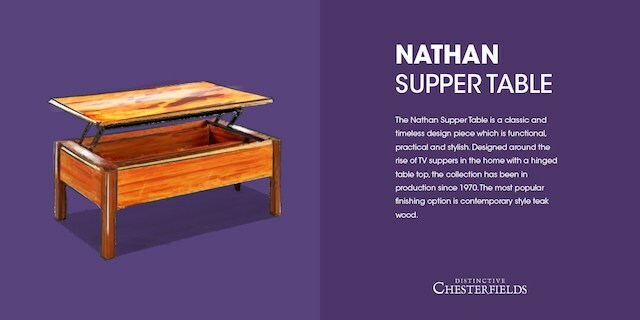 The supper table is a classic design piece that is functional and practical designed around the rise of TV suppers in the home. This table doubles as a coffee table, but then extends outwards like a dining table, making eating from the sofa comfortable and easy. 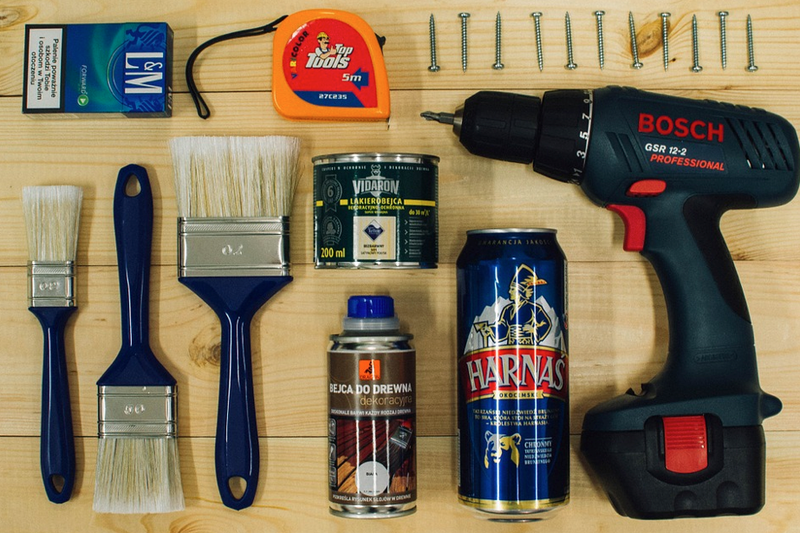 DIY Summer: Starting a Project on Your Own is Easier Then You Think!